A Forged Steel Gate Valve consists of an actuator---such as a lever, a hand wheel or an electric motor---a housing, which holds the valve mechanism, and a gate---a rectangular or circular piece of metal that acts like the gate on a fence. When the gate is raised, liquids or gases can pass through the gate. When the gate is closed, the flow stops. The best-known example of a gate valve is a household faucet: when you turn the handle, you raise or lower the gate and the water flows or stops. This is classified separately according to its wedges and its stem. These valves have specific stems attached to it. Some of the stems rise when the valve is opened and such valves are known as the rising stem valve. The stem of these descend when the valve is closed. These kinds are not suitable when there is space constraint. The non-rising stem valve is another variety of Cryogenic Gate Valve. The stem of these valves neither ascend nor descend when the valves are opened and closed. It remains at the same position. These kinds of valves are used in underground tunnels and places where there is little space. Knife Gate valves are also distinguished on the basis of wedges. Valves with a solid wedge include simple but strong construction. It can therefore be used for all types of liquids, including strong liquids. As it involves simple construction, it involves less complication and maintenance. It is therefore used in most of the pipe lines. 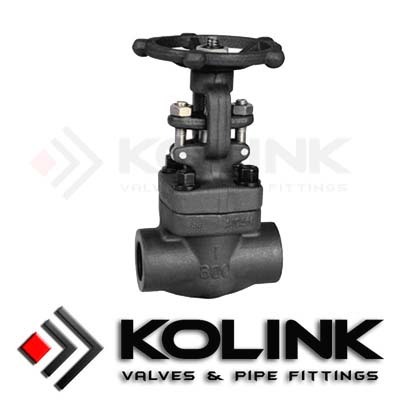 Valves with flexible wedges are yet another variety which has the ability to with stand varying climatic conditions. These valves are very flexible and can be used for many purposes. The parallel side valve is a common flexible wedge valve which is commonly used in many areas. Another variety of gate valve is the split wedge valve which is ideal for non-condensing gas and corrosive liquids. Further, This can be distinguished according to the various bonnet styles. Screw-in bonnets are usually used for small applications as it is involves simple functioning. Bolted bonnets are used for large valves as it is suitable for complex applications. Use of Various Materials: Different materials are used for manufacturing these valves. Some valves are made of brass where as some are made of iron. Stainless steel, cast iron, alloy steel, forged steel and so forth is also used to manufacture valves. If you want to know more,please enter the following link:Slab Gate Valve.